Culture ministry clarifies that advisory committees are being reconstituted, and recommendations made by previous committees will be honoured. 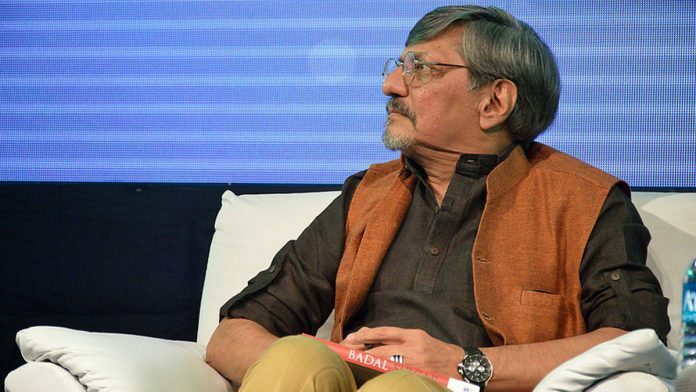 Mumbai: After a controversy blew up over actor Amol Palekar not being allowed to complete his speech about government interference in the functioning of the National Gallery of Modern Arts (NGMA) at an event in Mumbai, the Union Ministry of Culture has backed down a bit. In a statement Monday, the culture ministry said it will take artists’ suggestions into consideration regarding changes in the use of space at NGMA galleries. The ministry also clarified that it has not dissolved advisory committees, which recommend events and exhibitions to be held at NGMAs in Mumbai, Bengaluru and New Delhi, and that their terms have ended. The committees are being reconstituted and the recommendations already made by previous committees will be honoured, it said. “The recommendations of all previous advisory committees (which are up to December 2019 for NGMA, Mumbai) will be honoured and exhibition of artists will be held as proposed. The new advisory committee will take a decision relating to future exhibitions,” the ministry said. The term of the advisory committees for Mumbai and Bengaluru ended on 15 November, 2018, and the term for the Delhi committee ended on 17 January. “Some artists have expressed their apprehensions about availability of less space for temporary exhibitions and retrospectives. NGMA is deliberating on suggestions received from artists, and a final decision will be taken shortly in consultation with all stakeholders,” the culture ministry added. While speaking at NGMA Friday evening, Palekar was trying to highlight how advisory committees operating in Bengaluru and Mumbai were abolished in November 2018, no new committee was convened and the ministry was likely to take all decisions going forward. ThePrint published the full text of his speech. In his speech, Palekar was also attempting to talk about another decision where all future exhibitions of artworks not from NGMA’s own collection will be given only a sixth of the area in the gallery in Mumbai, and that in line with this new policy the retrospectives of artists Mehli Gobai and Sudhir Patwardhan, scheduled for March-April and December this year, will be cancelled. He had planned on questioning such unilateral decisions in his speech, saying, “What is the real intention behind such restrictions? Isn’t this another level of censorship on artistic freedom? Isn’t this yet another assault on the federal structure of this plural nation? The organisers kept asking him to stick to the topic and speak on Barve though no such brief was given to him, Palekar said Sunday while addressing a press conference with his wife, Sandhya Gokhale, who was also present at the NGMA event. He said the organisers kept bringing up the issue of propriety. “This event was at NGMA, which was also organising the retrospective. Then how is it not proper to speak about the NGMA?” Palekar said at the press conference.